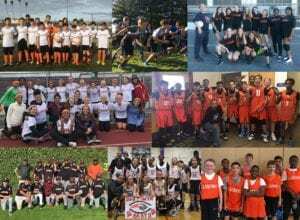 In honor of the great student athletes, our wonderful administrators and fantastic coaches, the Claremont PTA is launching a crowdfund campaign to raise $15,000 to help fund the school’s athletics program, which includes teams’ registrations, umpires and fields, stipends for teacher and coaches and much more. In the past five years, Claremont has greatly expanded its after school sports program, adding more sports each year. This winter, as many as 100 students, nearly 20 percent of the school, did an after school sport. As the program grows, the PTA has created a new sports section on the school website and works to get information out quickly about tryouts and game results. Check out the GoFundMe page and make your pledge today! But – as important – please share the link with your friends, neighbors, family members and work colleagues. Let’s reach our goal in one month! And stay tuned for more!